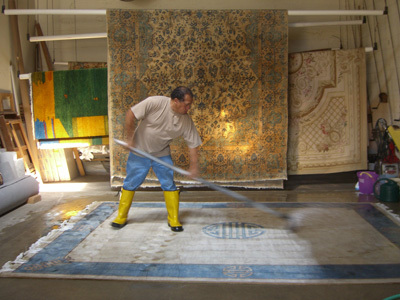 Honar Oriental Rug Restoration and Oriental Rug Cleaning has been serving the Washington DC area since 1990. Contact us for Oriental Antique Rug Appraisal. We will protect your Oriental Rugs with moth protectors. Visit our showroom and see our large selection of Oriental Rugs from Pakistan, China, Turkey, Persia, Afghanistan, and our selection of Antiques and Collectables. We service all of Washington DC including District of Columbia, Georgetown, Logan Circle, Dupont Circle, Truxton Circle, Eckington, Lincoln Heights, Gateway, Michigan Park, Manor Park, Riggs Park, Crestwood, Cleveland Park, Catholic University, Adams Morgan, Foxhall, Tenleytown, Friendship Heights, Forest Hills, Chevy Chase, Catholic University, Georgetown University, American University, Gallaudet University, and Washington Highlands.